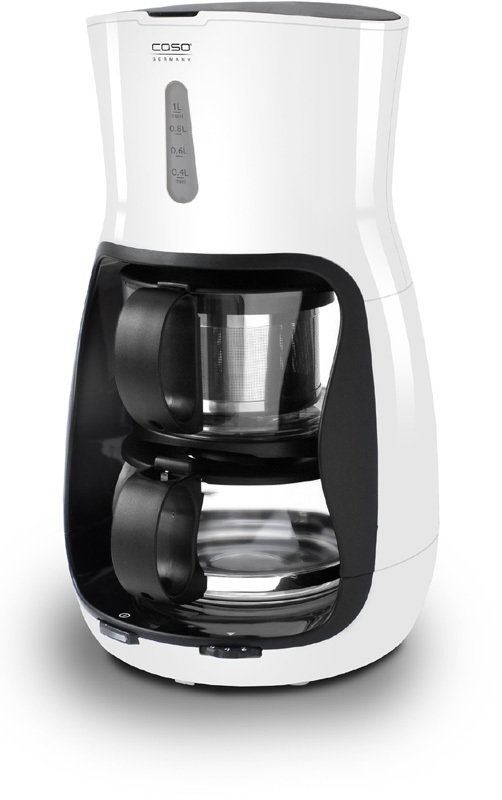 Designer tea machine with power of 1200 W. With 1 L glass teapot, and brewing time setting of 2 to 16 minutes. The tea filter is made of high-grade steel, and the filter pot out is made of high-quality polycarbonate (dishwasher-resistant). It has automatic warm holding function of 1 hr. Also it has anti-drip system, water level indicator and on/off switch.